Fans of the classic Killer Instinct fighting franchise have been on pins and needles since the announcement of the new game at E3. The best part about the lead-up to a new fighting game is the announcements of new fighters. Here’s a trailer for Glacius, whom we already knew about, along with a teaser for Chief Thunder. Most of the video belongs to Glacius as he tears up the opponent with ice-based attacks. The fighting system looks fluid, exciting, and extremely fast paced. It looks sort of like Mortal Kombat, but more ridiculous (if that’s possible) with the announcer’s voice and the heavy metal soundtrack. 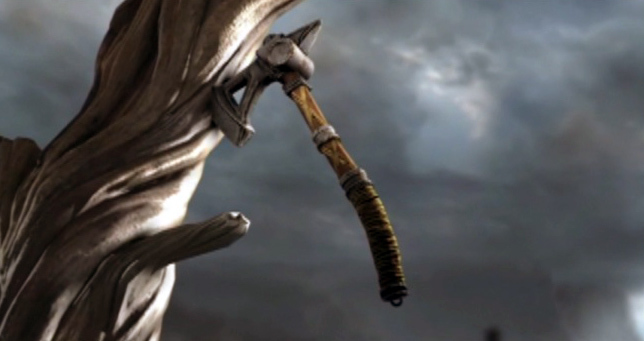 After Glacius soundly whups his opponent, a few seconds at the end of the trailer are devoted to a very short teaser for the tomahawk-wielding Chief Thunder. Check out the IGN video below. Gamers seem to be a bit split on how this is going to be. Which side are you on? Tell us in the comments or find us on Facebook or Twitter!